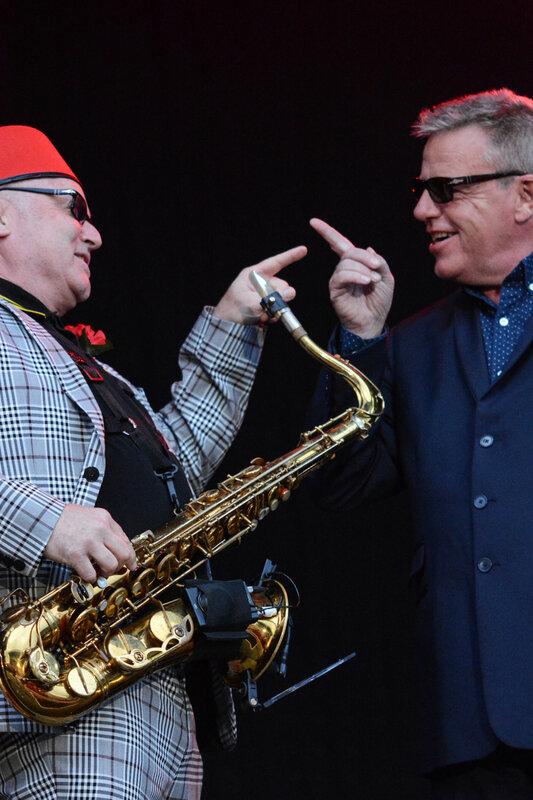 OUR HOUSE - POP LEGENDS 'MADNESS' ROCK FALKIRK STADIUM WITH THEIR "CAN'T TOUCH NOW TOUR"
The Legends which are MADNESS are one of Britain’s chart house favourites in British chart history. Our House favourites hit Scotland’s local town of Falkirk to play Rock the Stadium music festival which is promoted by LCC Live Music Events who have organised some of the best gigs across the past couple of years, including Sir Rod Stewart and Sir Tom Jones. 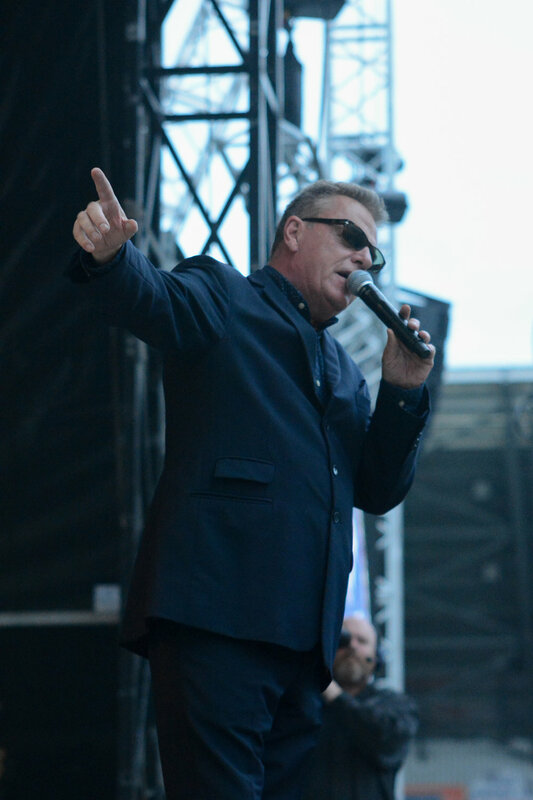 Madness were performing at SSE Hydro in Glasgow last year as part of their UK Arena Tour "Can’t Touch Us Now Tour." The band were super excited to be back in the country performing to their Scottish fans again. Old favourites The Farm opened up the show before the main band which everyone was waiting for came on stage and the crowd were super excited for The Farm, the atmosphere and energy was overwhelming. The atmosphere in the stadium was jumping as the crowd gathered geared up for Madness who also arrived in retro style fashion wearing braces, hats and suit jackets with short trousers and black shades. The fans were from all age groups of young people to older people and were all in amazing spirits, singing and dancing before they even came on stage. Graham McPherson and co. arrived on stage cheering to the crowd who were all chanting back to McPherson, the lead singer of the band also known as Suggs who was wearing a full black suit with black shades and having a laugh on stage with fellow member Lee Thompson who plays the sax who also was some character who was dressed in full tartan, as McPherson and co came up on the big screen, the crowd felt more involved and went wild along with the bass guitarist 'Mark Bedford' and the rest of the band who swaggered on looking cool. They kicked of the show with one of their top hits ‘Embarrassment’ which was a good intro to get the boys on stage, they kept the best till last playing some their biggest hits which made you feel the love and atmosphere with the crowd throughout the stadium, when the song Our house started playing the stadium went mental, everyone dancing about like crazy copying their moves, this kept going when they played House of fun and It must be love also Baggy Trousers everyone sang along and could clearly see how much of a good time everyone was having ending the night with Chelsea F.C – Liqudator. Ending the show McPherson and co decided they would dedicate a song to their Scottish fans by bringing on a piper to perform an amazing rendition of ‘Oh Flower of Scotland’ the national anthem for Scotland, which the crowd sang throughout the stadium for the entire song. 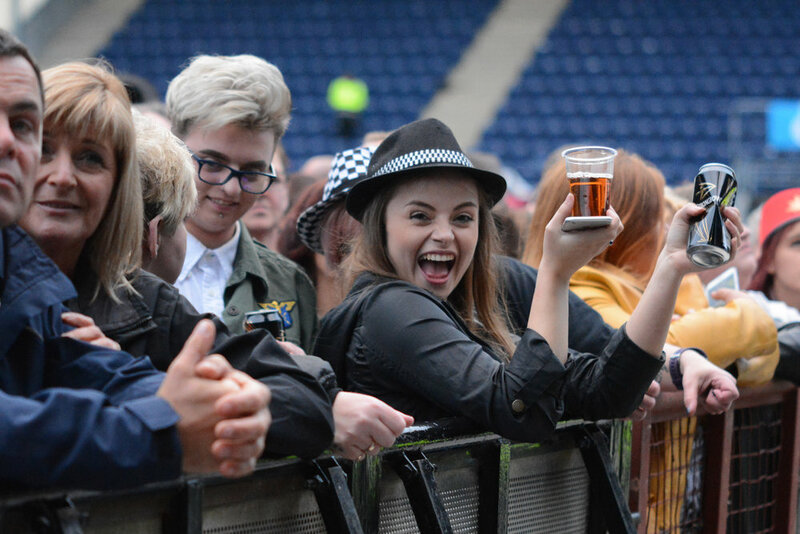 By the crowd's reaction the band's attempt at 'Oh Flower of Scotland' was a great success. The night was a concert which all the crowd sang their hearts out and all came together for one night of music, every fan showed the band what Scotland is made of by coming together singing every lyric, dancing together just showing Scotland is the place on the map where the best crowds are for concerts. 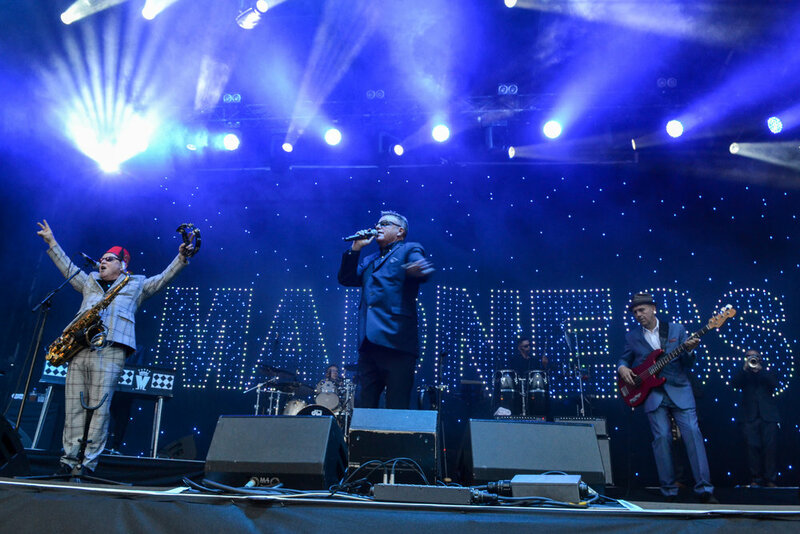 Overall the show was incredible and one to remember, we hope Madness return again to Scotland soon.